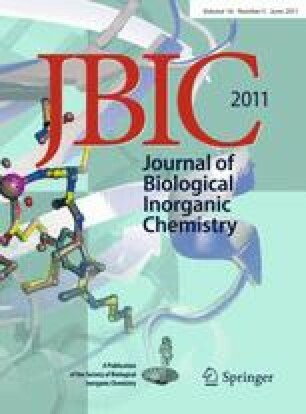 The study of ligand–receptor interactions using high-resolution NMR techniques, namely the saturation transfer difference (STD), is presented for the recognition process between La(III) complexes of 1,4,7,10-tetrakis(carboxymethyl)-1,4,7,10-tetraazacyclododecane monoamide and diethylenetriaminepentaacetic acid bisamide glycoconjugates and the galactose-specific lectin Ricinus communis agglutinin (RCA120). This new class of Gd(III)-based potential targeted MRI contrast agents (CAs), bearing one or two terminal sugar (galactosyl or lactosyl) moieties, has been designed for in vivo binding to the asialoglycoprotein receptor, which is specifically expressed at the surface of liver hepatocytes, with the aim of leading to a new possible diagnosis of liver diseases. The in vitro affinity constants for the affinity of the divalent La(III)–glycoconjugate complexes for RCA120, used as a simple, water-soluble receptor model, were higher than those of the monovalent analogues. The combination of the experimental data obtained from the STD NMR experiments with molecular modelling protocols (Autodock 4.1) allowed us to predict the mode of binding of monovalent and divalent forms of these CAs to the galactose 1α binding sites of RCA120. The atomic details of the molecular interactions allowed us to corroborate and supported the interaction of both sugar moieties and the linkers with the surface of the protein and, thus, their contribution to the observed interaction stabilities. This work was supported by the Fundação para a Ciência e a Tecnologia (FCT), Portugal (project PTDC/QUI/70063/2006) and FEDER. The Varian VNMRS 600 MHz NMR spectrometer in Coimbra was acquired with the support of the Programa Nacional de Reequipamento Científico of FCT, Portugal, contract REDE/1517/RMN/2005—as part of Rede Nacional de RMN (RNRMN). This work was carried out in the framework of the COST D38 Action. The group in Madrid thanks the Ministery of Science and Innovation of Spain for financial support (grant CTQ2009-08536). We also thank Eurico Cabrita for useful discussions.